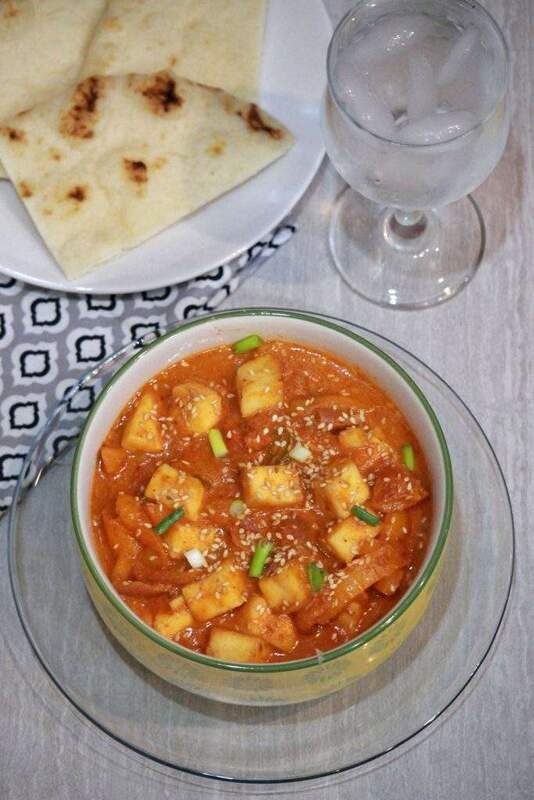 This Honey Toasted Paneer (Tofu) With Sesame Seeds recipe is one of our family favorite recipe. 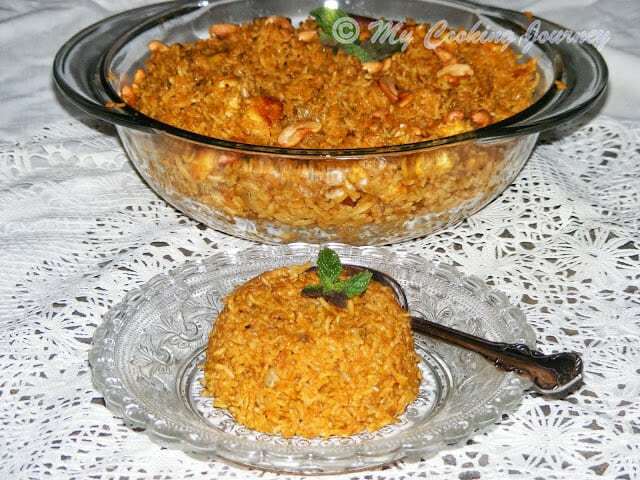 This is a recipe from Sanjeev kapoor’s collection. I watched him make this on a show years ago and ever since has become one of our favorite. 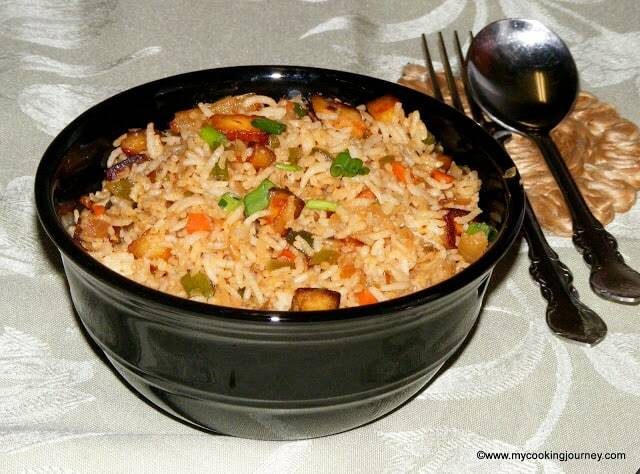 This dish has a Chinese twist to it. I have made few of my own improvisations to the recipe to suit our palette. 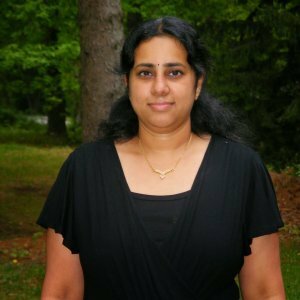 This recipe was first published in 2010 in my website and now after 8 years , I get to redo the pictures and the post and republish the recipe. 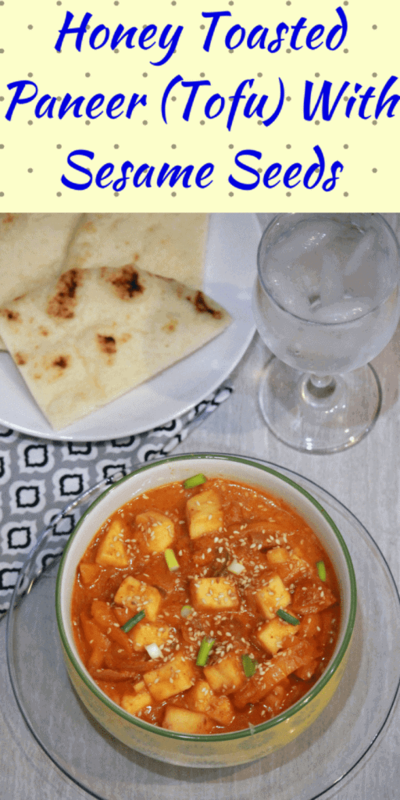 It is so awesome to go back to old post and find recipes that are still very popular in my family.I use either tofu or paneer when making the recipe. It really depends on what I have in hand. 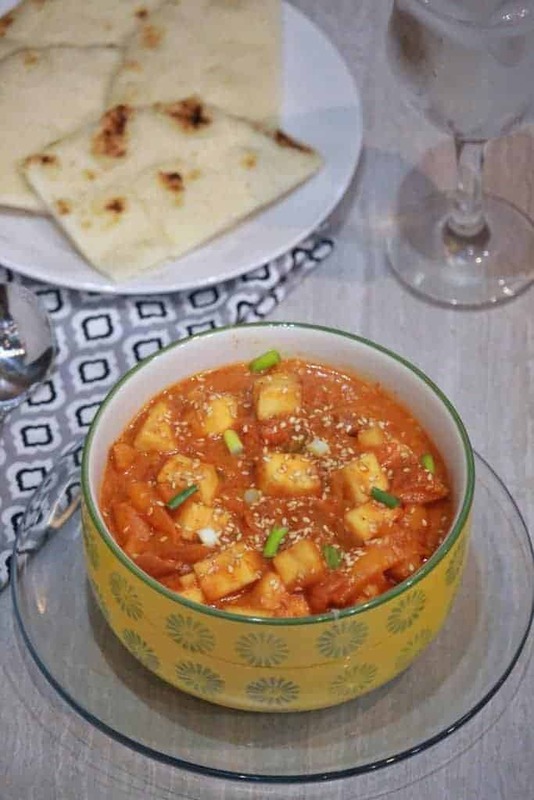 If you are a Vegan and looking to make this a vegan friendly dish, then all you have to do is use tofu instead of paneer and follow all the steps exact. 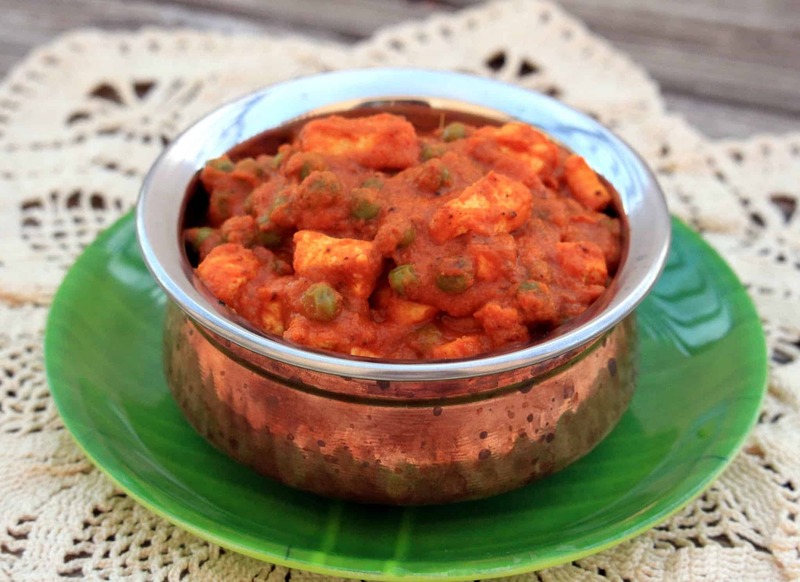 The original recipe was exclusively paneer/tofu. 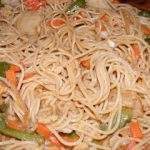 I added the onions and the bell pepper to bring out more of the Chinese flavor. The best part of the recipe is the toasted sesame seed. The flavor it brings out is absolutely great and I hope all of you enjoy it. 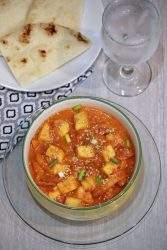 Cut Paneer/Tofu into 1 inch cubes and shallow fry them in butter/oil. I never deep fry the paneer or tofu. Shallow frying them in couple of tablespoons of oil works equally well. Drain the pieces on a paper towel and use the rest of the oil/butter in the pan to make the gravy. 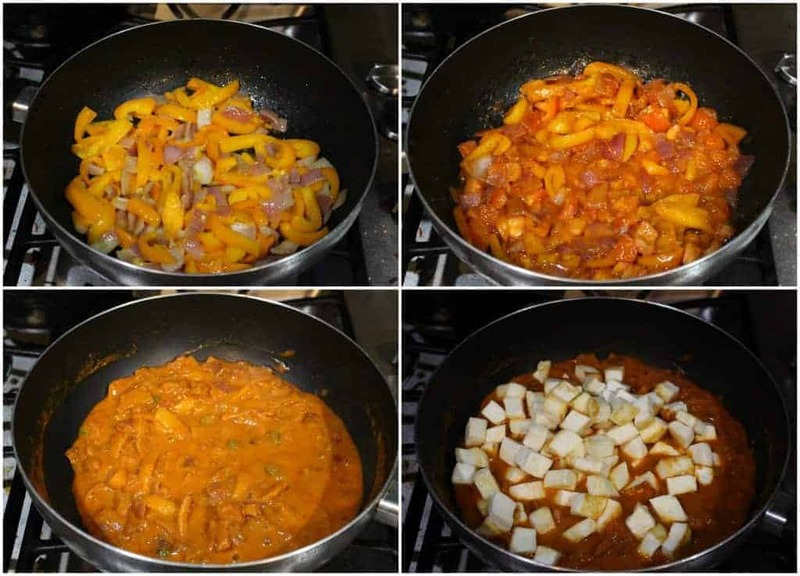 If needed, add a tsp more of oil in the pan and fry the cut onion, bell pepper. Once they are lightly cooked, add the ginger garlic paste and fry it for a minute more. Grind the soaked cashews into smooth paste and pour it in the pan. Next add the soy sauce, chili powder and salt and cook it for few minutes. Add the fried paneer/tofu and mix well. If the gravy is too thick add little water and let it all come together. Once it starts boiling add the honey mixed in warm water. 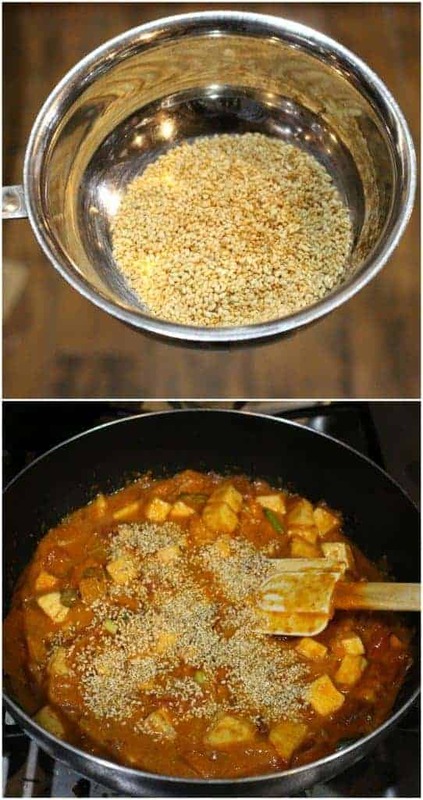 Toast the sesame seeds in a pan and add this to the gravy. 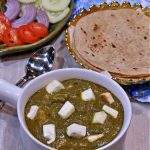 Garnish with spring onions, coriander leaves and serve hot with Chapathis or paratha. Awesome dish Sandhya, I think adding those sesame seeds must have taken this dish to a different level!..I am glad that some dishes are always popular with the kids. 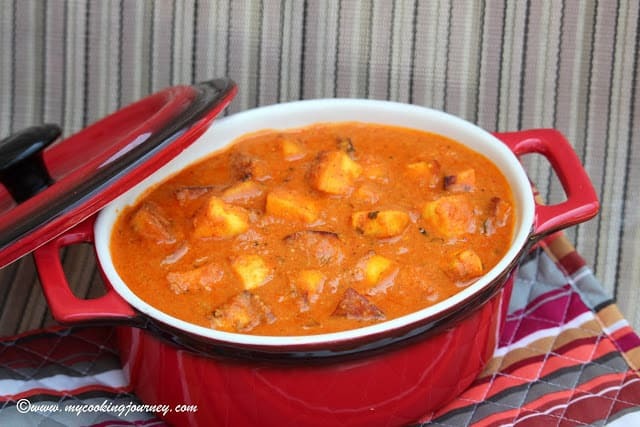 Like the paneer butter masala with mine!. 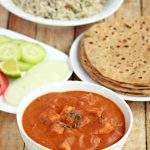 we basically follow the same recipe from Sanjeev Kapoor, and must have modified here and there but still its the favorite! 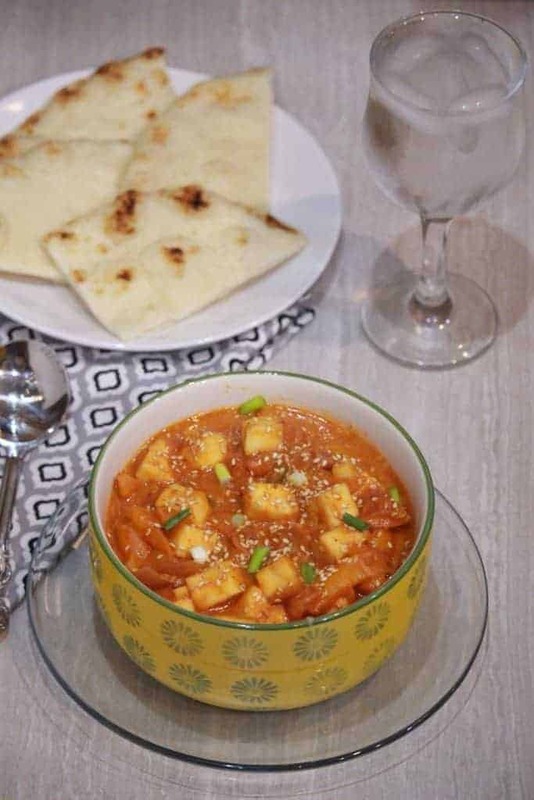 Love the paneer recipe.. addition of til and veggies makes more healthy..
love this Asian paneer dish – would be so good on top of a bowl of rice! Wow! that is one dish my kids would definitely love. Chinese flavors, tofu, honey, toasted sesame seeds – I am sold. Bookmarked to try this weekend! I am not sure my previous comment went thru. This creamy and finger licking bowl of tofu recipe looks fabulous. Looks easy to cook as well. Wowwing here, that bowl of ultimate dish looks absolutely irresistible. Am sure this dish will definitely please my chinese flavors loving family. 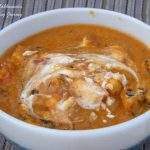 When I read the title I was thinking of a dry dish and when I saw this gravy, I was drooling! One more paneer dish to add to my bookmarks. Sesame seeds would have given such a nice flavor! I too like to add capsicum to dishes to lend a Chinese flavor to the dish.Revisiting the old recipes are so nostalgic, right! 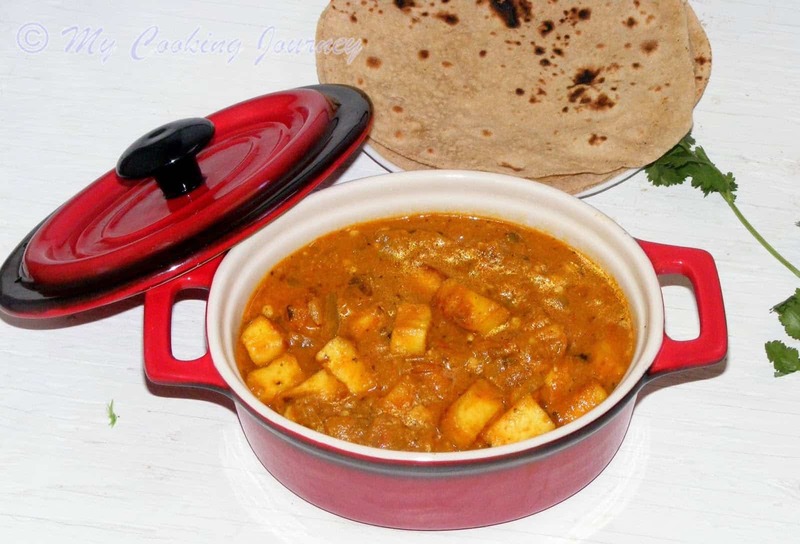 That is such a flavorful and delicious looking tofu dish Sandhya. I would love to try this dish some time. Wow the honey toasted tof with sesame seeds sounds amazing dish to try. Love the entire setup in the pictures. 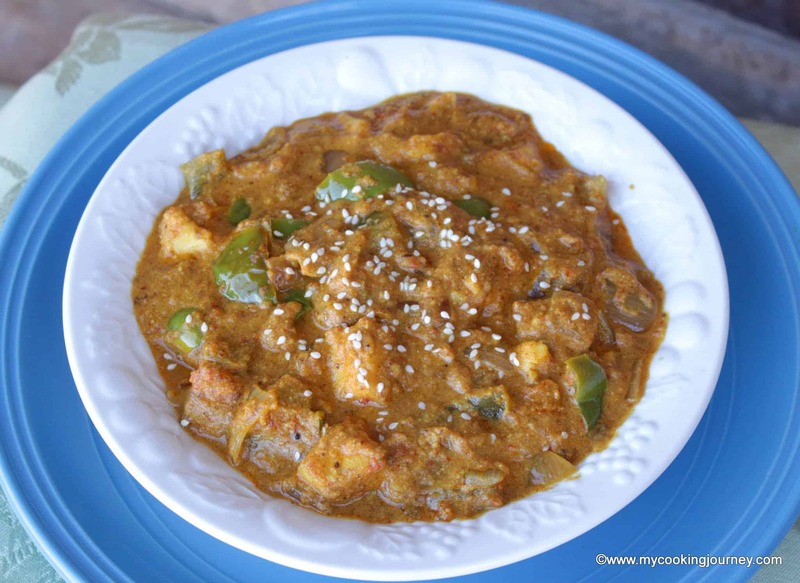 This Paneer dish is loaded with veggies and love sesame seeds and the Chinese touch. Would love to try this week.